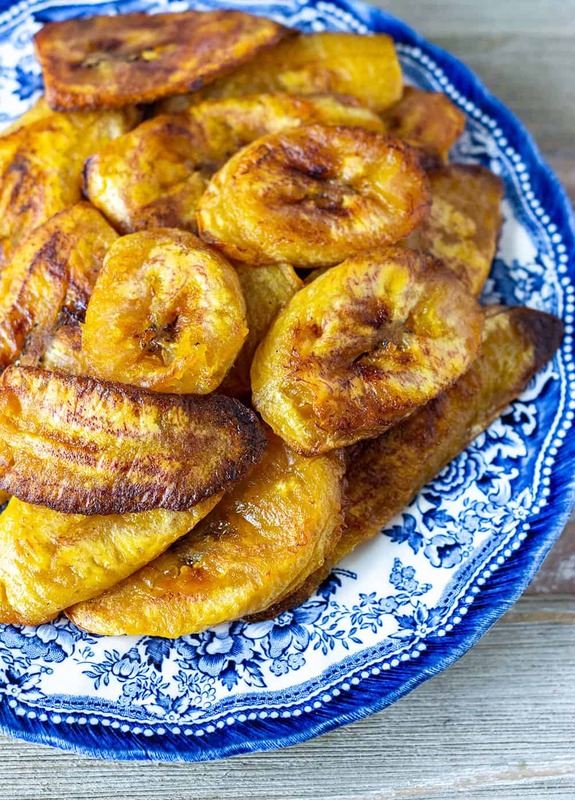 These juicy baked plantains are a delight, they are sweet, melt in your mouth and healthy. 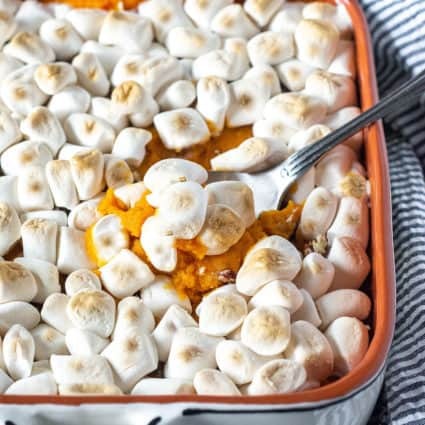 Baked in the oven compared to traditional frying, this is comfort food at its best, served as a side, dessert or snack. Plantains are not bananas, they are related to bananas. Plantains are larger, starchier and are typically eaten cooked, fried, boiled or baked, while bananas are sweeter and typically eaten raw. 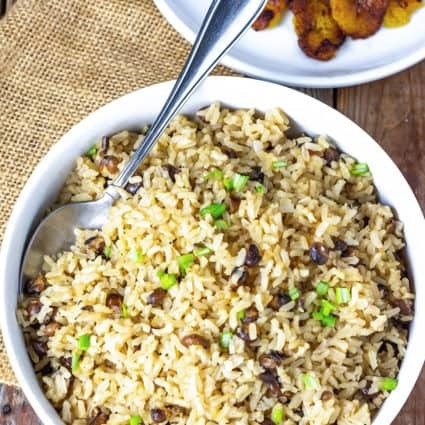 Plantains are popular in the Caribbean and in West Africa, I grew up eating plantains and its still a favorite in my home. I decided to bake them instead of frying. Fried plantains are a popular part of my Jamaican cuisine. Plantains are sold in most supermarkets in the International section of the supermarkets here in the USA. It is typically larger than bananas. I love to serve it with my Instant Pot Pinto Beans, Vegan Brazilian Black Bean Stew, or my Chickpea Stew recipe. 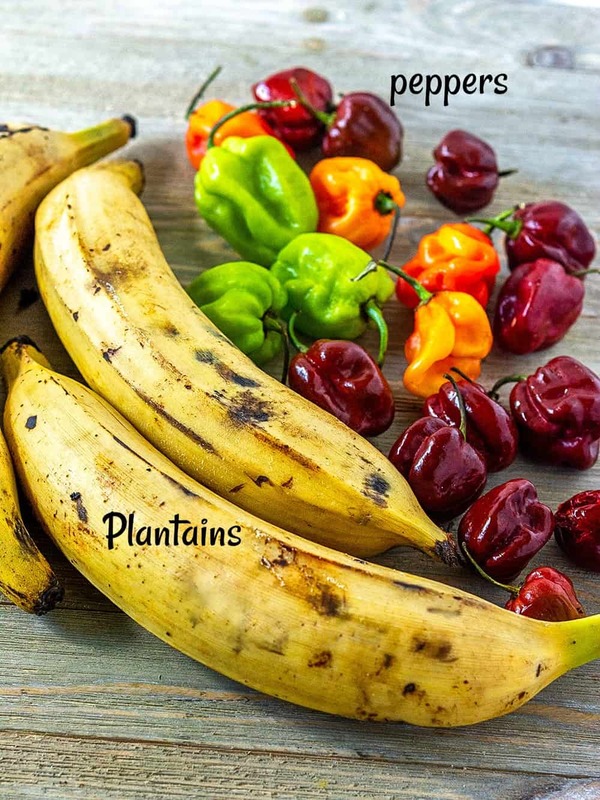 To make baked plantains, make sure your plantains are very ripe, yellow with black spots as shown in the photo above and not green. They should give slightly when pressed and not be firm. Peel plantains by cutting the ends off the plantain, cut through the peel from vertically then remove the peel. 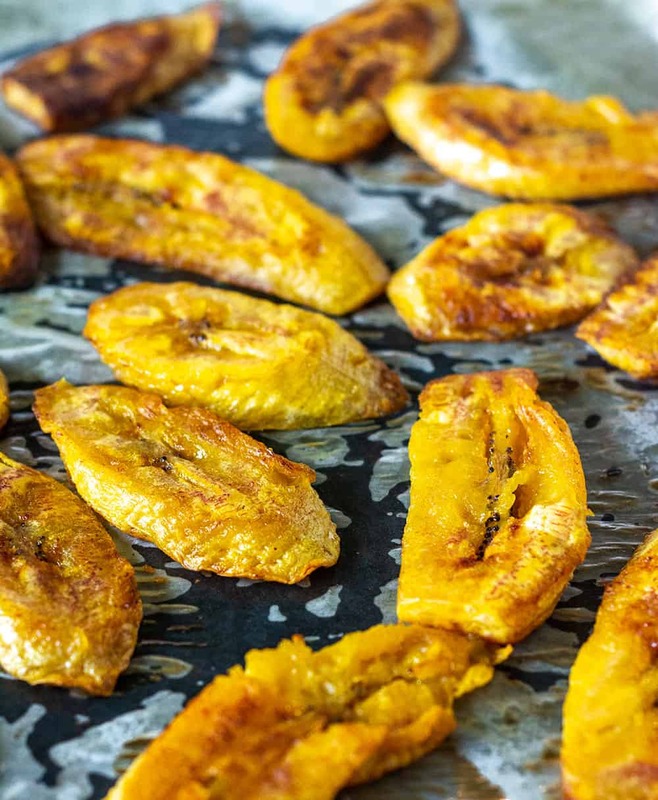 Make diagonal slices about 1/2 inch thick, place slices on a sprayed baking sheet, spray on top of the plantain slices and bake in a preheated oven until golden brown for 20 minutes turning halfway. There are only 109 calories in 1 oven baked plantains, they are a good source of Vitamin A, potassium, magnesium and Vitamin B6. Check out more on the health benefits of plantains. Preheat oven 425 degrees F. Lightly spray parchment lined cookie sheet and set aside. 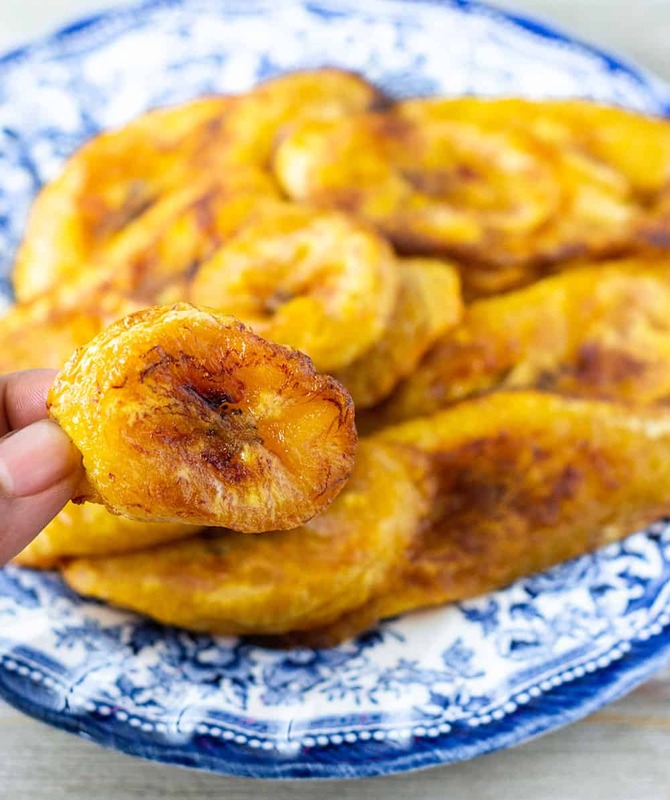 Using a knife remove the peel of the plantain by cutting off the ends then cut through the skin lengthwise. Remove the skin and slice diagonally into 1/2 inch slices. 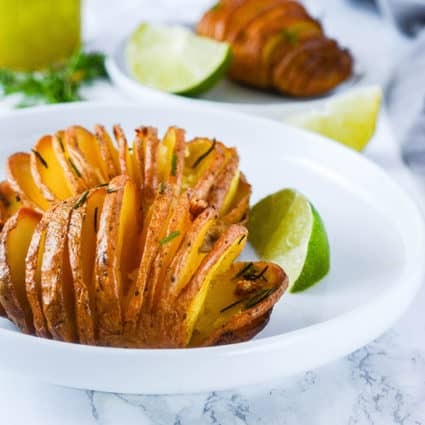 Place slices in a single layer on a cookie sheet, spray the top of plantains with cooking spray and bake for 20 minutes until plantains are golden brown. Thank you Sharon, I appreciate your kind words. Really enjoy your recipes. Was lost without it, since my girl became vegetarian. Thanks again. Kelly, I’m so happy you are enjoying my recipes and you came to let me know. You have encouraged me. I’m happy your girl has decided to be a vegetarian. Hi Michelle, I just found your web site and I LOVE it. The plaintains I see in my grocery store are usually green, will they ripen if I leave them out on the counter? And in approximately how many days? Thanks. Thank you, Annu, welcome. Yes, they will ripen in a week or two, depending on how green they are. Try to purchase the ones that have at least started turning yellow so you don’t have to wait that long. I have some that are green so I’ll do a recipe for green ones if time allows. Michelle Blackwood, thank you for your blog post.Really thank you! Awesome.